The Only Tibetan Tattoo Artist In Dharamsala Actually From Tibet! Heidi Minx interviewed the Tibetan tattoo artist and musician named Tamding in his studio in Northern India. She says that it’s so interesting to hear his story of being in exile in Dharamsala, his contribution to the Free Tibet movement and his philosophy on tattooing “Free Tibet” on folks for free. He has been a tattoo artist for six years, working with both traditional and modern designs. His studio is equipped with modern machines and everything meets western hygenic standards. He has many different designs and uses a variety of tattoo lettering fonts. Tamding was born in Amdo, Tibet. Since 2002, he has lived in exile in India. He studied traditional Tibetan art at the local transit school for one year, after which he joined the 'Akupema' music performing arts group, a traditional Tibetan music organization. Later he worked in the art department at Norbulingka for three years, teaching music and working on modern art, tattooing, and hair dressing. After that, Tamding moved to Mcleod Ganj, (upper Dharamsala) where he opened his own studio. In the first video, the interviewer asks Tamding how Tibetan Tattoos are perceived in the Tibetan culture, about his music career and why he is doing 'Free Tibet' Tattoos for no cost! 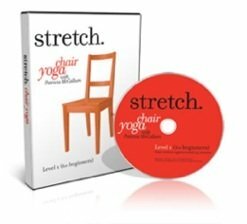 I may have to visit him on my next trip to India...! Here is the second half of the interview of Tamding the Tibetan tattoos artist. 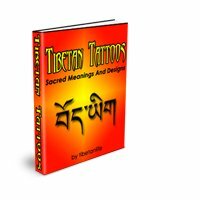 He is asked if he thinks his artwork with tattoos is helping to support the Tibetan cause, whether he knew anyone in the Lhasa riots last year and how people can learn more about him and his work. He also designs tee-shirts. He shows a beautiful one that he made with a tank, peace sign and Buddhist bodhisattva poem. Check out his site for one of the more interesting tattoo photo galleries. 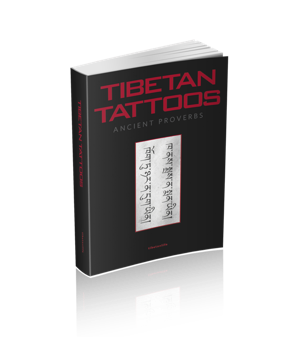 He does Tibetan tattoos names, phrases and a variety of writings for both ladies and guys. One day he hopes to return to Tibet and help Tibetan artists and musicians achieve their potential — "this is my dream".